There are not too many cows living around the Mediterranean shores! Typically, the herds from the French hills to the Greek Islands and Morocco are of goats. Sometimes they are sheep. Let us just stop a minute to understand cows and their milk products. Sadly in the UK, we regularly consume the milk of cows that have hardly ever seen the light of day, and are often kept in a false state of lactation, even eating unnatural ‘foods’ such as sheep brains (which caused an outbreak of mad cow disease and CJD). Moreover, cows’ milk has high levels of Insulin-like Growth Factor 1 (IGF-1), which causes rapid cell growth. The saturated fat can also stimulate the growth of oestrogen in humans. One day of high cows’ dairy intake sees a high level of inflammatory gut bacteria the following day. But the case against cows’ dairy is not quite as black and white as people like to make out. But that is not all. In the rumens of poorly fed mass market cows, a common constituent is linoleic acid, which is not particularly health giving. However, in the rumens of cows kept well, running around out of doors consuming, especially non-pesticide, grass in fields as is their wont, about ten different isomers of linoleic acid are produced by their commensal bacteria. These collectively are called Conjugated Linoleic Acid, or CLA. And CLA is strongly cancer preventive. Unfortunately the rocky terrain of the Mediterranean shores doesn’t allow for cows freely running around. People with lactose intolerance are not able to digest milk sugar (lactose). According to the Mayo Clinic, this is because they don’t make the necessary digestive enzymes. Actually none of us does. Our bacteria make them for us, and already it is being shown that the re-introduction of lost bacteria, re-introduces the missing DNA into our guts that can make these enzymes. For example, certain commensal bacteria (the good guys) make lactase and this can break down lactose. Streptococcus thermophiles actually prefers fermenting lactose to fermenting glucose. 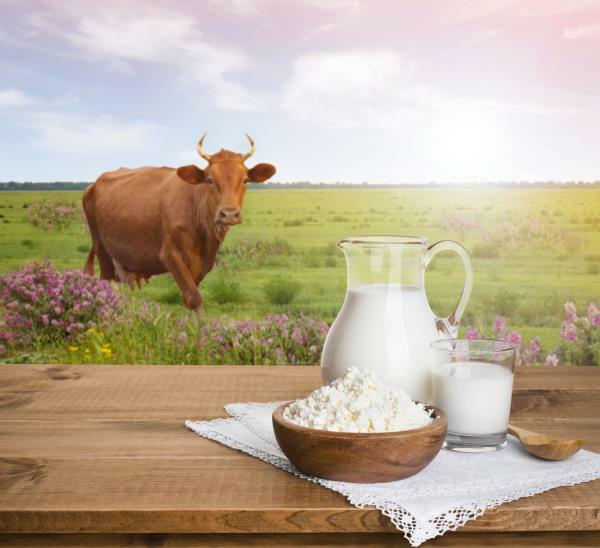 Lactose intolerance may not be the issue at all – the same symptoms of bloating, gut irritability, diarrhea and flatulence can be brought on by alpha-S1 casein protein which is in cows’ dairy and it does cause allergic reactions. Goat’s milk to the rescue? Alpha-S1 casein protein is not present in goats milk. And goat’s milk is anyway more digestible than cows’ milk – the fat molecules are smaller and more widely dispersed. Goats are sadly prone to bacterial infections and in the South of France a cull is underway due to infection with Coxiella burnetii. However, historically the milk of the Mediterranean was raw and from goats, with occasionally that of sheep. Far less growth hormone, oestrogen and unnatural contents as the goats ate clambering over, often, wild terrain. Goat’s milk wins the day over cows’ milk in a colourful Mediterranean Diet.